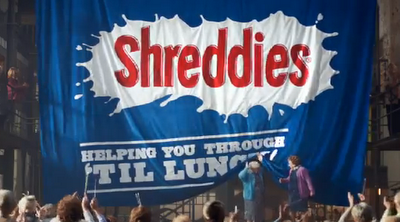 The new TV advert for Shreddies breakfast cereal is plagued by incorrect punctuation. As is increasingly happening these days, thanks to so-called smart quotes, an open quote (looks like 6) has been used here instead of an apostrophe (looks like 9). Apostrophes mark omission, people; quote marks surround quotations. Grrrr.